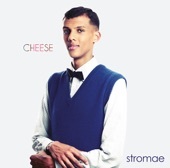 Paul van Haver, better known as Stromae is a singer-songwriter of Belgian-Rwandan origin. He has distinguished himself in both hip hop and electronic music. He first became famous with the song "Alors on danse" which remained at number one for several weeks in numerous countries throughout Europe.